Less than 24 hours after Donald Trump suddenly cancelled the Singapore summit, meant to gather the United States and North Korea, the President backtracked on his rash decision. The summit should therefore take place on 12 June, as initially planned. In a context of growing tensions, which went as far as raising fears of a nuclear conflict, this summit seems decisive for the region’s future. 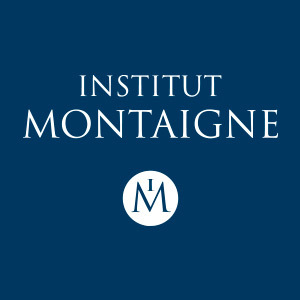 Juliette Morillot, specialist of North Korea and co-author with Dorian Malovic of Le monde selon Kim Jong-Un (The world according to Kim Jong-un), analyzes the implications of this historic meeting. What are the stakes underlying the Singapore summit? After a year of nuclear and ballistic tests causing extreme tensions, the world seems to finally be realizing that North Korea does in fact possess a nuclear weapon. Yet this is no novelty: the country conducted its first nuclear test in 2006, and its nuclear program dates back to the end of the Korean War. Confronted to what it considers as a permanent American threat, the country wanted to become a nuclear power in order to defend and protect itself. If the successful North Korean nuclear test of September 2017 - a hydrogen bomb - raised the international community’s awareness, it is worth noting that this test was part of a dissuasive strategy, aiming to protect the country. Before 2017, the status quo consisting of demonizing North Korea, while ignoring its nuclear and ballistic progress, benefitted all players, including North Korea itself. China contented itself with supporting the North Korean regime, its ally, in order to avoid an American military installation on its doorstep and an incoming flow of refugees in Manchuria, were the regime to crumble. Japan wanted to avoid the emergence of an Asian anti-Japanese block, accelerated by the reunification of the two Koreas. For South Korea, the idea of reunification is more romantic than it is realistic. Indeed, the cost it would imply and the significant differences between the two Koreas make such a goal practically unattainable. Moreover, the youth is opposed to it, as it fears it would impact its living standards negatively. For years, the United States has used the threat posed by the North Korean regime to justify its significant presence in the region, which really was motivated by China's economic and military rise to power. The test of an intercontinental ballistic missile able to hit the United States - which until now hadn’t felt concerned as it wasn’t the target - was successfully carried out in November 2017. The American response to this test increased tensions, and even raised fears of a nuclear conflict. The goal of the Singapore summit gathering the United States and North Korea is thus to ease tensions throughout the Korean peninsula, in order to avoid a potential nuclear conflict that was escalating. This ambition is shared by all the players involved. How can the uncertainty surrounding this historic meeting be explained? This uncertainty can first and foremost be explained by the fact that the media have been demonizing North Korea for years. North Korean propaganda and its violent rhetoric is known to all, yet no one spoke of the American and South-Korean storytelling, which is at least as efficient. Yet this is less and less the case today: in fact, paradoxically, we are almost witnessing an inversion of roles. Indeed, the United States is now the one being portrayed as irrational, while the Korean regime has recently been treated much more respectfully. Indeed, each player is setting up a crisis communication system to avoid matters of contention and controversies. The goal here is to create a positive atmosphere for a successful summit in Singapore. The United States and North Korea use the term “denuclearization” in different ways, which has also contributed to this uncertainty. While the North Korean leader’s willingness to denuclearize might have been sincere, for the regime, it will depend on the type of security guarantee the United States is ready to offer to North Korea in exchange. The latter has undertaken a number of concrete actions, such as the release of 3 American detainees and the destruction of tunnels at the Punggye-ri atomic site. However, the recent resumption of joint military exercises between the United States and South Korea is considered as an aggression by the North Korean regime. Is the United States prepared to stop these drills and reduce its military presence in South Korea? At the historic meeting in Panmunjom in April, the two Korean leaders agreed to denuclearize the "peninsula". This includes the North, of course, but also the South and the United States, and notably the American nuclear umbrella. In such a context, John Bolton and Mike Pence's reference to the Libyan experience was interpreted as a threat by the North Korean establishment. While President Trump and Mike Pompeo want this summit to occur, it seems that Bolton and Pence are actively working towards its failure. If North Korea reacted calmly to this affront, and showed its willingness to pursue the dialogue, the reaction of Donald Trump, who decided to cancel this summit (and then reschedule it) is more impulsive than anything. What does this mean for the future of nuclear deterrence and for the relations between the United States and North Korea? As far as nuclear deterrence is concerned, the construction of North Korea's nuclear weapon is unlikely to encourage other countries to do the same. It was not done overnight and is the result of a long, difficult process, which required heavy sacrifices. Therefore, few countries have the means and technological capacities to follow such an example. The summit and the signing of a non-aggression pact would help to ease tensions between Korea and the United States, provided that the latter plays along and takes the North Korean demands into account. These rely on 4 elements: the signing of a peace treaty throughout the peninsula, the signing of a non-aggression pact by the United States, the lifting of sanctions, and the possibility for North Korea to pursue a civilian nuclear program. Such a program would indeed enable North Korea to dialogue on equal terms with the world’s major powers. And to have its economic sanctions lifted, of course. North Korea also wants to normalize its relations with the rest of the world thanks to embassies. For his part, Donald Trump wants a complete, verifiable, quick and irreversible denuclearization. Such an expectation testifies to the poor quality of the specialists surrounding the American President. Siegfried Hecker, a renowned American nuclear specialist, says that denuclearization could take up to ten years. Donald Trump, rather than setting such unattainable goals, should focus on reassuring North Korea on the survival of its regime. The country must indeed understand that its security does not depend on the nuclear weapon. The stakes are high for the two leaders, who are both trying to assert their power. Donald Trump needs to secure a victory on the international scene, while Kim Jong-un intends to showcase his stature as international head of state, able to reach out in order to satisfy his demands. There are also significant domestic stakes underlying this summit. Indeed, if it is successful, Donald Trump will be in an advantageous position for the midterms of November 2018. It would also benefit Kim Jong-un, as North Koreans consider him, now more than ever, as the country’s defender and as a man of peace, who will now focus, as he announced he would, on the country’s economy. Lettre de Washington – un tournant dans la politique étrangère de M. Trump ?